President Vladimir Putin has signed the country’s national security strategy for 2016 with color revolutions and biological weapons named as primary threats to Russia. Here are nine key points you want to know about the document. 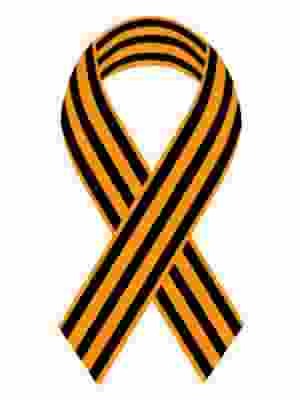 Listed among threats to national security are “color revolutions” and their instigation, the undermining of traditional values, and corruption. Who could be engaged in such activities? According to the document, “radical social groups which use nationalist and religious extremist ideologies, foreign and international NGOs, and also private citizens” who work to undermine Russia’s territorial integrity and destabilize political processes. The activities of foreign intelligence services, terrorist and extremist organizations, and criminal groups are also classified as threats. The growing number of countries in possession of nuclear weapons has also increased certain risks, the decree says. Indeed the risk of countries gaining possession of and using chemical weapons, as well as biological weapons, has risen as well, it elaborates. The North Atlantic alliance advance towards Russia’s borders is a threat to national security, according to the document. Processes of militarization and arms build-ups are unfolding in regions neighboring Russia, it says, adding that “the principles of equal and indivisible security” are not being respected in the Euro-Atlantic, Eurasian and Asia-Pacific regions. Nonetheless, Russia is still interested in a fair dialogue and good relations with NATO, the US and the EU, the strategy says. Under the partnership, it’s important to enhance mechanisms “provided by international treaties on arms control, confidence-building measures, issues related to non-proliferation of weapons of mass destruction, the expansion of cooperation in the fight against terrorism, the settlement of regional conflicts,” it says. At the same time, Russia plans to prevent any military conflicts by maintaining its nuclear capabilities as a deterent, but would resort to the military option only if all other non-military options had failed. Secret services have become increasingly active in using their capabilities in the struggle for international influence, the document highlighted. The strategy allows the use of military force only in cases when other measures to “protect the national interests” are ineffective. Russia’s economic stability is in danger mainly because of its low level of competitiveness and its resource-dependent economy. The fact that Russia is dependent on the external economic environment doesn’t help matters, the document reads. Economic restrictions, global and regional crises, as well as the misuse use of the law, among other things, will have a negative impact on the economy, and in the future could lead to a deficit of mineral, water, and biological resources. 9. What’s next for the economy? Understanding the problems faced by the country’s economy, the Russian government plans to take measures to deal with them. To ensure economic security, the country will need to balance its budget, prevent capital outflows, and reduce inflation, the document states. “To resist the hazards to economic security, the government… will carry out a national social and economic policy involving … strengthening of the financial system, ensuring its sovereignty and the stability of the national currency”. Russia also considers developing relations with China, India, Latin America and Africa as highly important. If you have a website, write, read, or like something in social media that strays outside the new lines the war isn’t coming, its now here. The purpose of ” Inform and Influence Operations” is not to provide a perspective, opinion, or lay out a policy. It is defined as the ability to make audiences “think and act” in a manner favorable to the mission objectives. This is done through applying perception management techniques which target the audiences emotions, motives, and reasoning. According to TechRepublic – The career of Joel Harding, the director of the group”s(Old Crows) Information Operations Institute, exemplifies the increasing role that computing and the Internet are playing in the military. A 20-year veteran of military intelligence, Mr. Harding shifted in 1996 into one of the earliest commands that studied government-sponsored computer hacker programs. After leaving the military, he took a job as an analyst at SAIC, a large contractor developing computer applications for military and intelligence agencies. When you look at the beginning of the NSA’s intrusive policies you find Joel Harding . Harding helped pioneer the invasive software used by government and business to explore your social networks, influence you, and dig out every personal detail. In Operation Eligible Receiver 1997 he used freeware taken from the internet to invade the DoD computers, utilities, and more. It’s because most of it is based in “freeware” that NSA snooping has a legal basis. If you can get the software for free and use it , why can’t the government use it on you? The false narrative — such a disruptive, murderous force which can destroy nations. Commander Breedlove is right: The way to attack the false narrative is to drag the false narrative into the light and expose it. The problem is that he is peddling the false narrative, not someone else. More and more people realize this and are exposing it. Factual, accurate narratives love the light, and that’s what Breedlove wants to eliminate — the truth. So, though he uses the language of truth and of honor, what he actually proposes is something very different. He says it is necessary to wage war on this information. It’s increasingly difficult to “sell” the US/Pentagon/NATO false narrative as true. They can do it with higher volume, by slander and libel, and by trying to eliminate any fact-based narratives. There will be more computer and website attacks, greater pressure put on the mainstream media to keep out any contrary narrative, political pressures and laws, personal attacks, and probably physical attacks in the myriad ways which the military has at their disposal. Anyone espousing “Russia’s” position will be targeted. 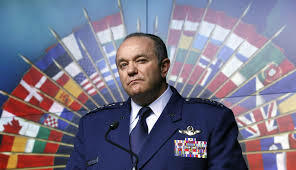 The truth and everyone telling the truth have become the enemy to Commander Breedlove and his allies. What they want, they intend to get if at all possible. However, truth does shine brightly, along with the people who share it. It is critical now more than ever to give information to as many as we can in as many ways as we can.